Here’s the problem with the Register quoting Chemerinsky – he is a member of the Board of Directors of the Voice of OC, a non-profit online news source funded by the Orange County Employee’s Association. 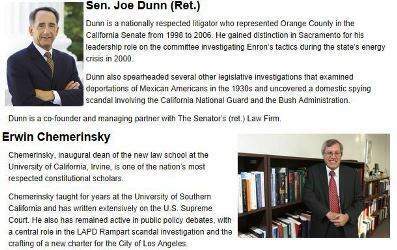 And Chemerinsky as well as fellow VOC Board Member Joe Dunn, have a beef with Pulido that goes back a few years. 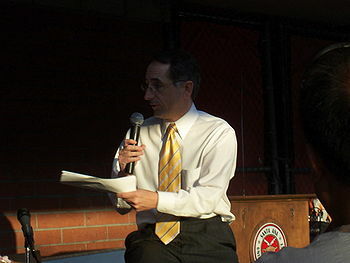 Dunn, back in 2003, was a State Senator who represented Santa Ana in the State Legislature. But when the Fourth Circuit Court of Appeals was negotiating with the City of Santa Ana for a larger property and a new building Dunn was leading the charge to move this Court to Irvine – to be located specifically near the UCI Law school, which a few years later hired Chemerinsky as their Dean, despite his liberal politics. Santa Ana Mayor Pulido acknowledged Dunn’s backstabbing at the inauguration of the new Fourth Circuit Court of Appeals, which Pulido successfully kept in Santa Ana, when he said, ” I know that during this process Our Senator at the time, Joe Dunn, we went back and forth, had differences of opinions.” They sure did! Dunn tried to move this Court to Irvine – and Pulido punked him! What Pulido did was very important to the well-being of the people of Santa Ana. Keeping this important Federal Court in our city meant saving hundreds of jobs – and those employees spend money in our city every day, particularly in our Downtown. Santa Ana ended a lease with the Orange County Probation Department at the corner of Ross Street and Santa Ana Boulevard to make room for the court and secured discounted parking for employees at a nearby structure. Obviously Dunn was very peeved that Pulido stepped in and stopped his scheme to steal this Court and move it to Irvine. And Chemerinsky clearly is still holding a grudge as well. But if you were to ask Santa Ana residents what they think about keeping the Court of Appeals in our city I think most of them would say that they are appreciative of Pulido’s efforts. Dunn clearly tried to screw the people of our city – something I will never forget. Pulido did have some help in stopping him, specifically former Santa Ana Councilwoman Claudia Alvarez and current State Senator Lou Correa, who worked hard to stop Dunn’s plot. Sadly Dunn is still getting revenge on Pulido by having his Voice of OC writers rip him on an almost daily basis. It is also worth noting that Nick Berardino (pictured above), the grouchy head of the OCEA, who as I noted funded the Voice of OC, has his own beef with Pulido. A few years ago a Democrat named Tom Umberg, who was a friend of Berardino, ran for Correa’s seat on the Board of Supervisors, when Correa moved on to the State Senate. But Umberg hit a major snag, “Umberg admitted to and apologized for cheating on his wife in a four-year affair,” according to the Free Republic. Umberg also admitted that he met his mistress through Democratic Party activities! The affair began after Umberg left the White House Office of National Drug Control Policy in 2000 and was working for a Washington law office. After the affair ended, the woman, whose name was not disclosed, confronted Umberg’s wife, Robin (pictured above), at their family home, visited the Assembly gallery in an attempt to speak to the assemblyman and attended a school event involving the family. As you might imagine Umberg lost that election. Pulido did not support Umberg and Berardino has held that against him ever since. Clearly Dunn and Berardino are very petty people and their issues with Pulido are ridiculous. Yet look at the grief they have put Pulido through ever since. How disgusting – and to use what is supposed to be an objective media source as their weapon against Pulido is simply intolerable and unprofessional. The knife is of legal size for personal concealment. Contractors, handymen, cops, and many others carry such tools on a daily basis. It could have come from one of them, or the “punks” in question, or it could be planted to save face after a terrible decision. You only picked one possible scenario, and wrote it in a way that people associate the two together. Not respectable. 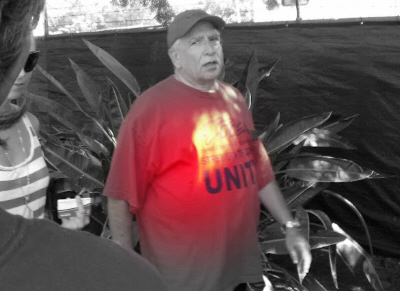 No one is going to take the life of a Santa Ana City Council member. They are not worth it, from a cost-benefit perspective. So let’s not make this a safety issue either. And your other article about the new rules (warrant checks, residency checks, etc.) is not really conducive to actually hearing the public. It is the same as “Voter ID” laws that discriminate against the poor when voter fraud is a miniscule problem statistically, but it sounds nice. Also similar would be “additional measures for mail bombs” when 20 mail bombs have gone off but 170 billion pieces of mail have been delivered safely over the last few years. What happened to the randomness (and yes, it is sometimes violent) of life events? You suggest these new rules but come to the defense (rightfully) of the BS bike registration law we have been fighting at Civic Center for months. I don’t understand how you are on one side of personal freedoms, then the other. If city council can’t handle a public that is increasingly loud, then perhaps they should be asking why the community starting raising their voice in the first place. Like Bijan said, he was there to address his brutality by the police at a public city forum. He probably thinks city council is ignoring him, forcing him to wear his statements. Same thing with protest signs in council chambers only become necessary when people feel their voice goes unheard. You teach a child to speak and stand up in the first few years of their life, then spend the rest of the time telling them to “shut up and sit down”. This city council will be held accountable to their community, in a fashion and manner that goes beyond the ballot box. If so then why was the knife discarded? Obviously we need to check probation and warrant records at the next meeting before we let these punks in. 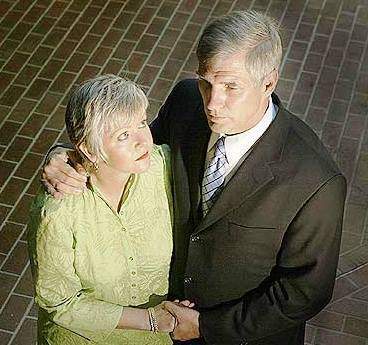 Tom Umberg another sh!tbag politician. But hey, he wasn’t last DPOC official to pick an asian mistress. But in Toms defense, his wasn’t a “houseboy”. The Voice Of OC is to Orange County Liberals what Rush Limbaugh is to bluehairs in Florida: playing to the base. Trouble is most people are middle of the road and have a hard time supporting the ultra liberal causes they promote. I love how they strive to be legitimate, when in fact they are just another blog. Albeit with a half million bucks from Jenifer Muir and company. The knife was tossed out so that the police would not have the excuse of saying that it was used against them in the arrest. There was also a bag of weed tossed out in a state of worry. Why make this about Pulido? When was the last time any of the councilmembers critiqued the police dept. Abuses? Never? The SAPD run this city and council like AIPAC runs the U.S. Senate. Until people recognize the monopoly they have, the system will remain corrupt. I think most Santa Ana residents would say that the gangs, not the police, are the problem. I doubt that as the cameras were rolling. No city employee would jeopardize their career with such a shenanigan.